The Thriving Institute is a team-centered opportunity to hear from leading experts from across the independent higher education landscape, consider issues of urgency across higher education, and learn from research on adaptive change and resiliency. We balance valuable time for team interaction and planning with opportunities for peer-group content and networking. Credo is pleased to partner with Marian University in Indianapolis as the host institution for the 2018 Institute. Located close to downtown, Marian is an extraordinary example of growth, innovation, and keeping student learning and access at the center. Guests will enjoy the lovely downtown Indianapolis JW Marriott property. This new hotel features extensive dining options, conversation areas, and a Starbucks®. Enjoy an opening reception, dinner and keynote on Tuesday evening. Institute participants will enjoy exclusive access to the NCAA Hall of Champions and its exhibits for the evening, located just beyond the conference hotel. Wednesday and Thursday’s sessions will feature research-informed learning and workshop time on the topic of Adaptive Change with Dr. Eileen Hulme. Wednesday evening will be free, with options for transportation and entertainment; and Thursday will conclude early afternoon. 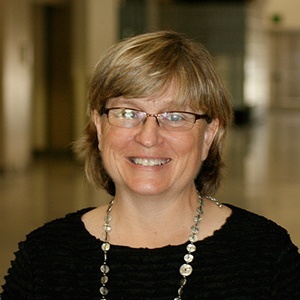 An APU faculty member since 2005, Eileen possesses 20 years of experience in higher education administration, including three vice presidencies that position her well in her teaching and research into leadership and change. A 2001 Fulbright Scholar in higher education administration, Eileen has taught at both the master’s and doctoral levels for more than a decade, and co-directed the M.S. in Student Services Administration Program at Baylor University. Her research interests include the development of meaning and purpose in college students, the effect of emotional intelligence on success in a university environment, and a strengths-based approach to leadership. $4,500 per leadership team of up to eight people, encompassing all institute sessions and materials, as well as most meals. To bring your team to the 2018 Thriving Institute, please contact Credo President Tom Gavic, or Chief Brand Officer Emma Jones.